A lovingly crafted and deeply felt performance. Bernstein succeeded superbly in conveying his own intellectually ferocious vision of what the piece truly signifies. 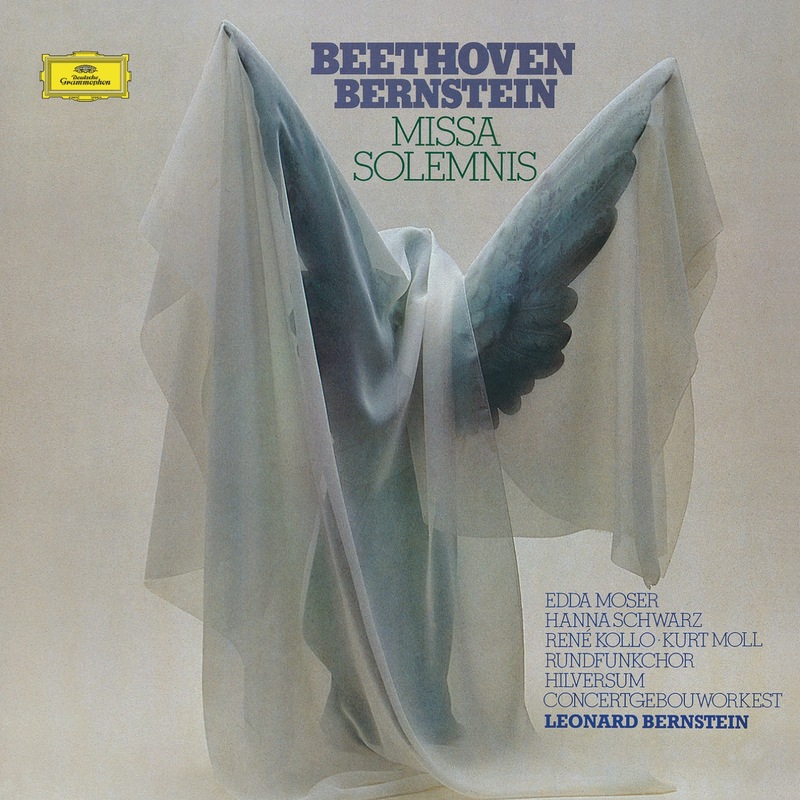 "In his Missa Solemnis, Beethoven grasped heavenward hoping to touch the face of a God he could neither see nor hear, in a supreme effort to bolster his own inner convictions. That’s why you can view the piece from pretty much any faith-led or philosophical standpoint and the music still seems powerful and meaningful. Leonard Bernstein was a cogent and committed arbiter who succeeded superbly in conveying to all who would listen his own intellectually ferocious vision of what the piece truly signifies. Thus, DG’s Galleria reissue of his 1978 Concertgebouw performance is one of the greatest utterances of Bernstein’s Indian summer on the Yellow Label. It’s clear that Bernstein’s individual view of the work matured and evolved radically since he first recorded the mass with New York forces in 1960. The earlier account is the more robust and visceral view, the later one being more visionary in character–arguably more akin to cosmological reasoning clothed in musical terms. But in the Concertgebouw reading I sometimes miss the eruptive forcefulness that the young Bernstein of 1960 unleashed in the Gloria, which was taken at not only a faster tempo, but also featured choral singing from the Westminster Choir whose incisive quality (almost certainly a result of the closer balanced recording) reminded me that it was Romain Rolland who wrote that this music overflowed the church’s dimensions in all it stood for. We also shouldn’t forget that Beethoven added the superscription “from the heart–may it go to the heart” to the score of this work. Bernstein took that on trust, as you’ll sense particularly in sections like the “Dona nobis pacem”, an invocation in this Concertgebouw performance of what Beethoven called “both inner and outer peace”. Both the Kyrie and Sanctus of this DG performance re-enact true devotion, yet you’ll need to decide if you value vision over electricity. If it’s the former, don’t overlook the 1974 Karajan version from Berlin. In Janowitz, Baltsa, Schreier, and Van Dam, Karajan had an exceptional quartet of soloists, far superior to Bernstein’s in Amsterdam (Edda Moser’s soprano contributions often sound pressurized, though René Kollo’s tenor voice was in fine form for this recording), so Karajan’s is still the version I’d choose to live with. But a particular joy of Bernstein’s Amsterdam account is the beatific solo violin in the Benedictus, played with great eloquence and serenity by Herman Krebbers.